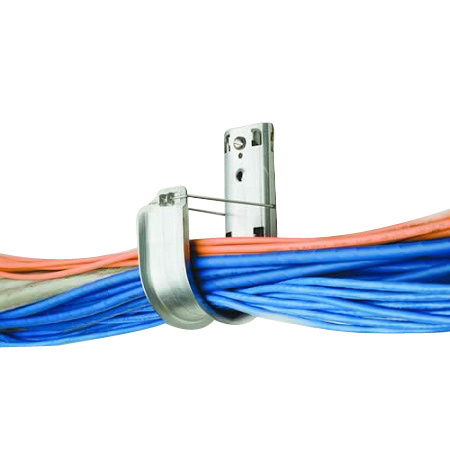 CADDY® CAT LINKS are technologically advanced aerial cable support systems to be used with a variety of cables, including large-diameter optical fiber, inner-duct, coax cable, tubing, conduit and large Cat 6A/Cat7 cables. 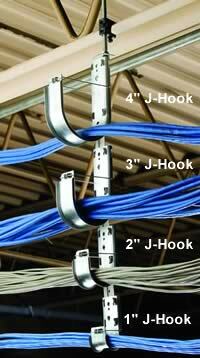 J-Hooks may also contain branch circuits up to 600 Volts. 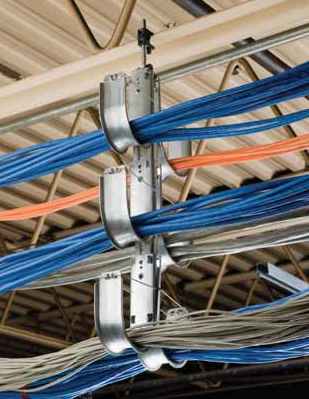 This advanced cable support system eliminates the need to replace infrastructures when more cables are added. 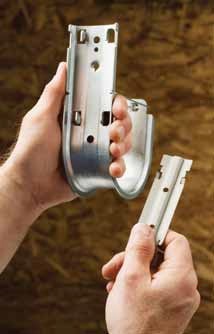 ERICO J-Hooks are ideal for use in industry and manufacturing settings as well as utilize code-compliant materials and all-metal construction to meet worldwide standards. 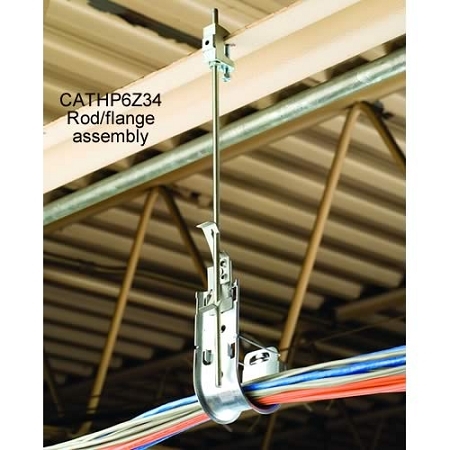 Versatile and interchangeable J-Hooks feature smooth, beveled edges and a wide bend radius to reduce cable friction as well as offer less vertical cable compaction. 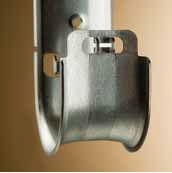 A rounded profile allows the upper cables to nestle in gaps between and on top of lower cables which distributes weight more evenly. 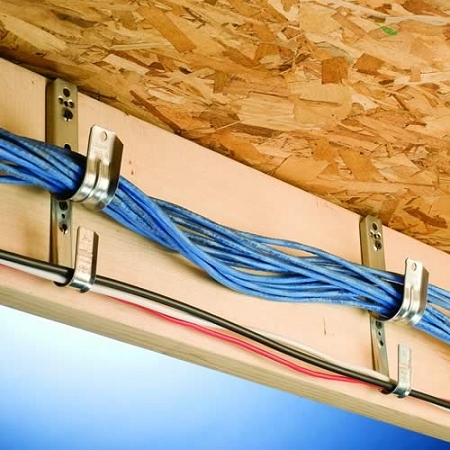 These wide bases comply with TIA-569B and ISO/IEC 18010 standards and help ensure a stable and secure installation to easily accommodate current and future high-performance cables. 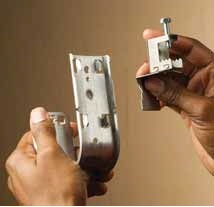 Bending locking tabs provide stability and rigidity for all J-Hook assemblies. CAT links are also an environmentally friendly green product that utilizes recycled raw materials in its manufacturing as well as is recyclable itself. 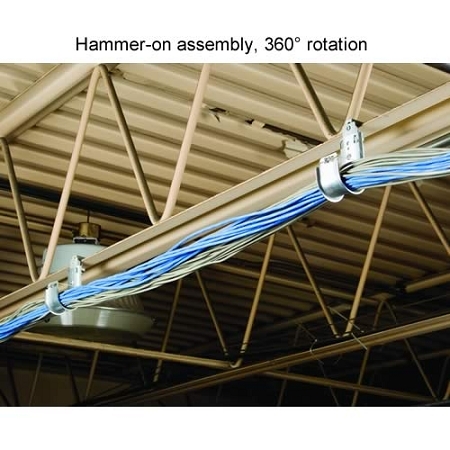 Manufactured from up to 80% recycled steel and used up to 80% less material compared to perforated or wire mesh tray systems of equal capacity; since the j-hook is not a continuous pathway. 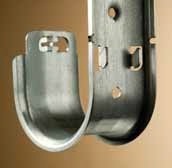 Corrosion resistant metal is designed to be long lasting and durable. 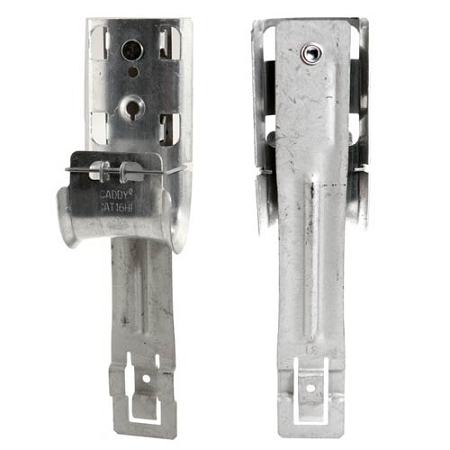 To accommodate more cables than just one J-Hook can support alone, ERICO designed a spring steel tree mounting bracket that connects j hooks vertically with each other; called J-Hook Trees. 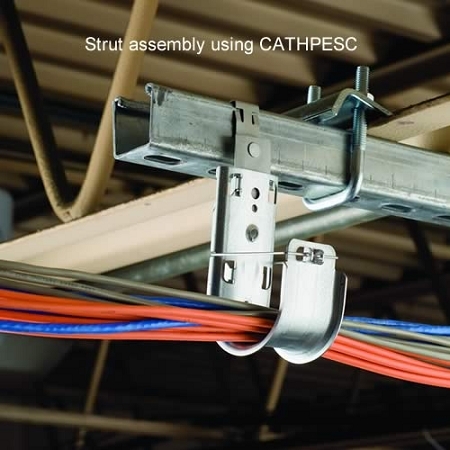 Simply just snap any size hook combination together, without screws, to add additional cable pathways. 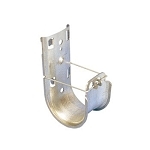 Available in several sizes (1, 2, 3, and 4 inch) to best suit your needs of your applications. Step 1: Firmly hold the J-Hook to prepare for assembly. 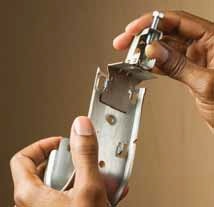 Step 2: Hook the Tree Mounting Bracket into the Locking Tabs and press-fit into position. 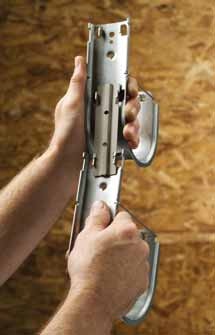 The bracket should be mounted flush to the J-Hook. Step 3: Hook the Locking Tabs of the second J-Hook to the other end of the tree mounting bracket. Step 1: Firmly hold the J-Hook and Angle Bracket for assembly. 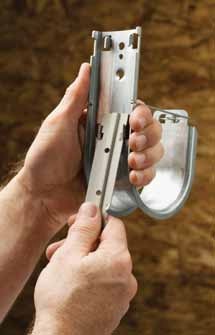 Step 2: Hook the Angle Bracket assembly into the J-Hook and press-fit into position. 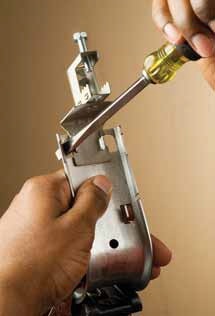 Step 3: Using a screwdriver, bend the locking tabs to firmly secure the J-Hook Assembly.